On Jan 13 I flew from Buenos Aires to Trelow. 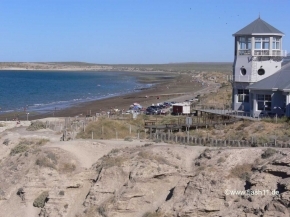 From Trelow I took the shuttle to Puerto Madryn. 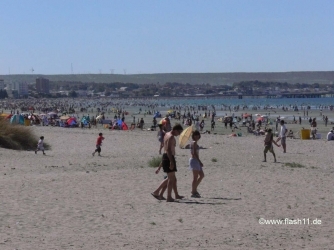 Puerto Madryn is a vital city with ca 100,000 people and a wonderful beach. 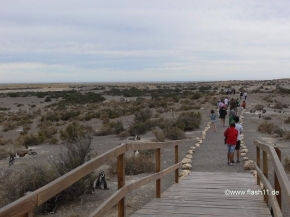 From October till December it is possible to watch the whales from the beach on the Peninsula Valdez. The animals that can be watched in Valdez vary from season to season. 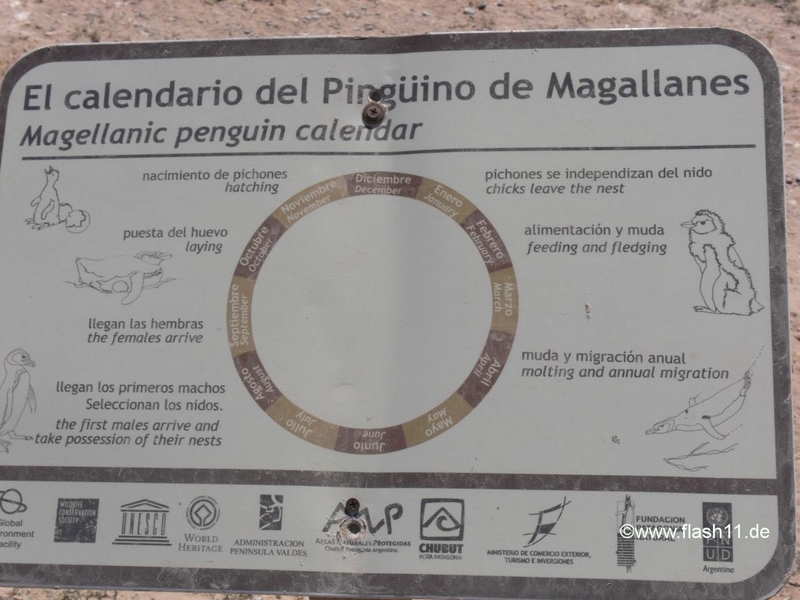 See calender of the animals you can watch for details. I have attended a one day trip to Peninsula Valdez with Empresa Botazzi. 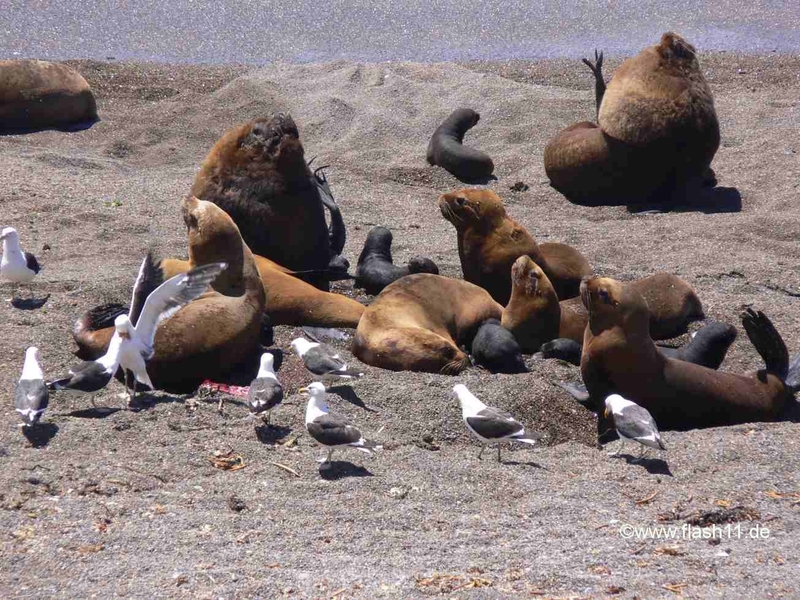 We saw lots of penguins, some elephant seals (sea elephants) and very interesting colonies of sea lions. Very impressive to see the position of a strong male sea lion with a lot of females and babies around him. 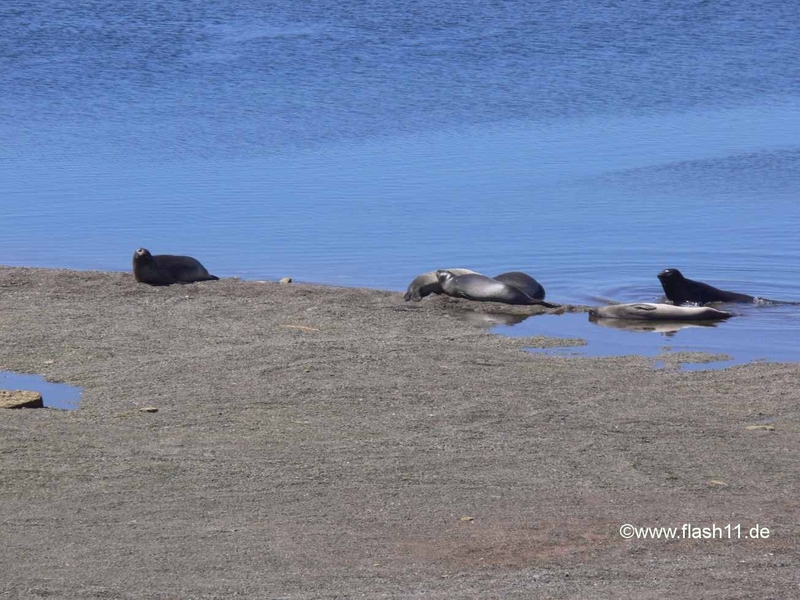 Other males which are not so strong have to live alone very close to the water. They try to attack continuously the stronger ones but are seldom sucessful. Like in real life. We have seen a birth of a baby sea lion too. A lot of gulls were around to eat the placenta. It was very interesting, but we were approx 8 hours on the mostly non paved road (ca 400 km ) for 2 hours animal watching. After that we stayed ca. 90 min in Puerto Piramides with no meaning at all. Cost: 250 ars. 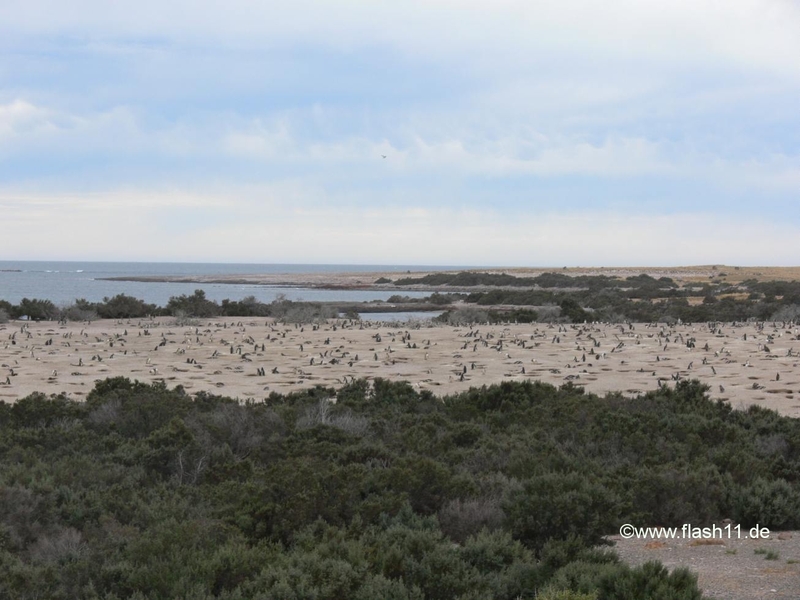 The next day I was on another trip to Punta Tumbo. Punta Tumbo is a huge colony with ca 1 million Magellan penguins. 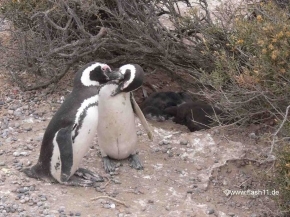 A couple of penguins can spend their whole life together (ca 30- 40 years) and both take care of the chicks. When one of them is fishing the other one will take care of the chicks. 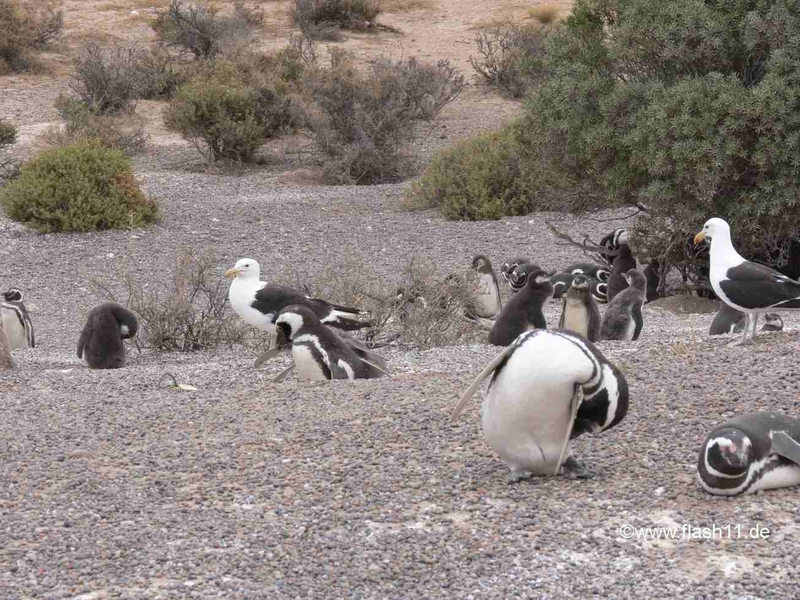 In January time frame they are on the beach because the chicks are not able to swim yet. 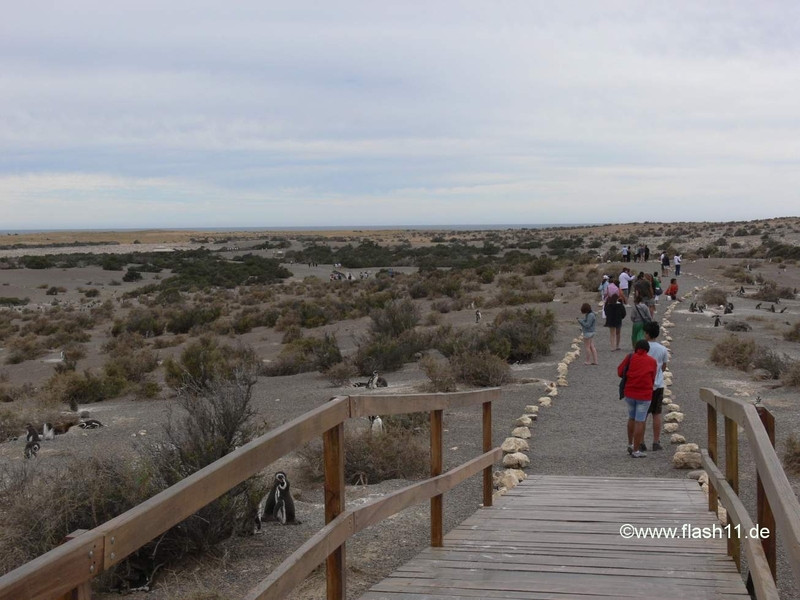 A trail for the tourists has been built in the wild colony. If a penguin wants to cross the road then the tourists have to wait. 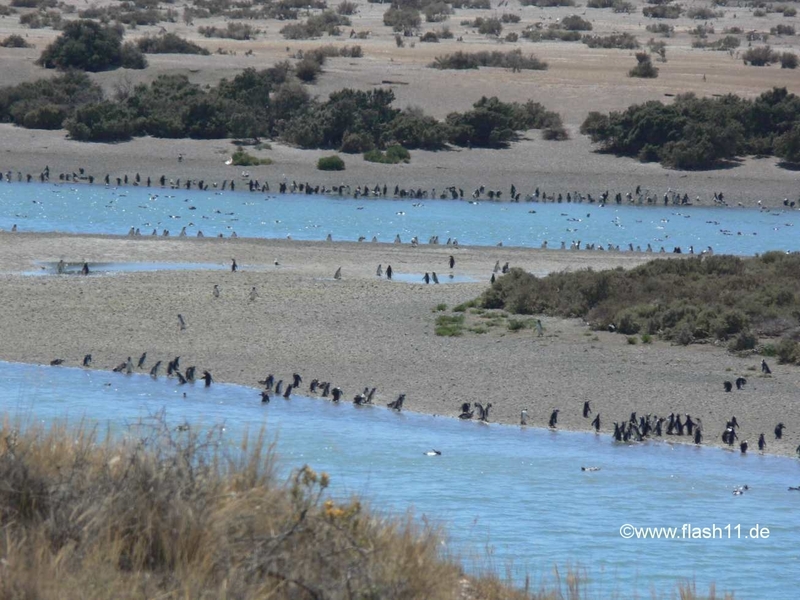 Very impressive is that the penguins swim up to 600 km for fishing. In Puerto de Rowson was scheduled a boat trip to watch the dolphins. Unfortunately the trip has been canceled because the waves were too high. The daily trip was ca. 400 km on non paved streets. I have not attended the welsh tea party in the village Guiman. 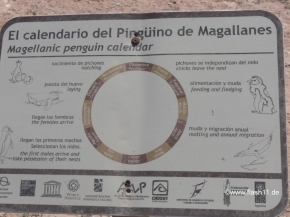 The trip is very long but worth to do it because of the penguin colony and perhaps because of the toninos (dolphins). Trip to Punta Tomba 250 ars, trip to watch dolphins 220 ars on top (not payed). Location: * (out of 5) located ca 4 km from the city center. They lend me a bike (free of charge). But I could not use it in the evening because there are a lot of strolling dogs around the hotel which attack the bikers. The streets around the hotel are not paved. The next restaurant is ca. 3 km away. You should only book the hotel if you have a car. Service: *** (out of 5) breakfast ok. Rooms are clean. It took long time until they could print my invoice. 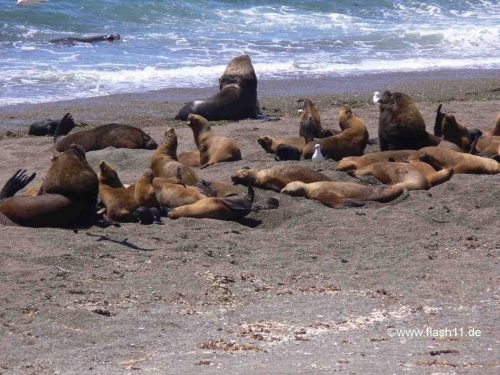 They offered me the tours to Punta Tumbo and Peninsula Valdez at a much higher price then the touristic agencies in the city. Room, Hotel overall, infrastructure (internet): **** (out of 5): Wlan available, nice grass lawn, nice pool. 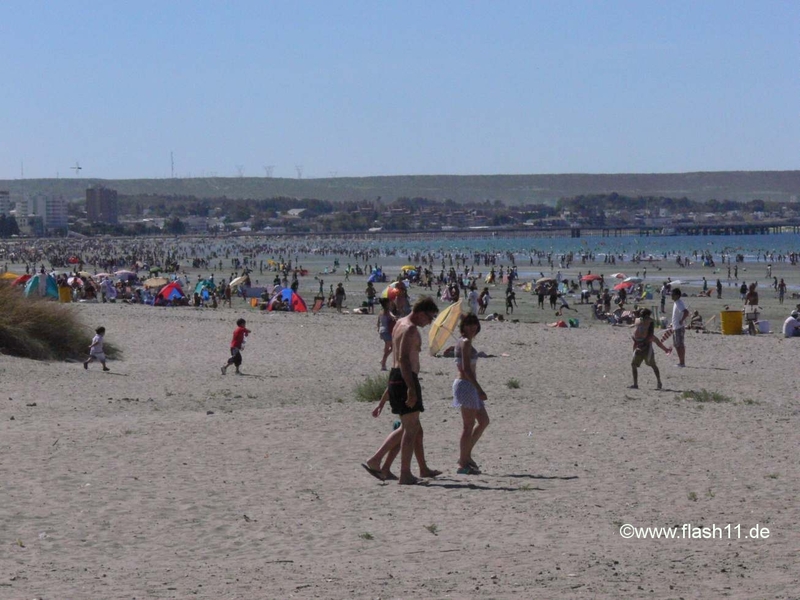 However 500 m further is the beach so that you really do not use the pool. Overall rating: ** stars out of 5 (downgrading because of location). You should only book the hotel if you have a car. 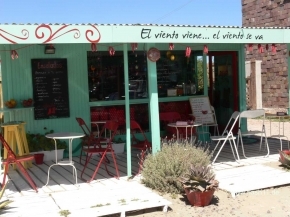 My favorite restaurant in Puerto Madryn:Vernardino, Boulevard Brown 860, across the street from the travel agency Bottazzi. Unfortuntely, the restaurant does not exist anymore. It is now called Club Nautico and is very good too. 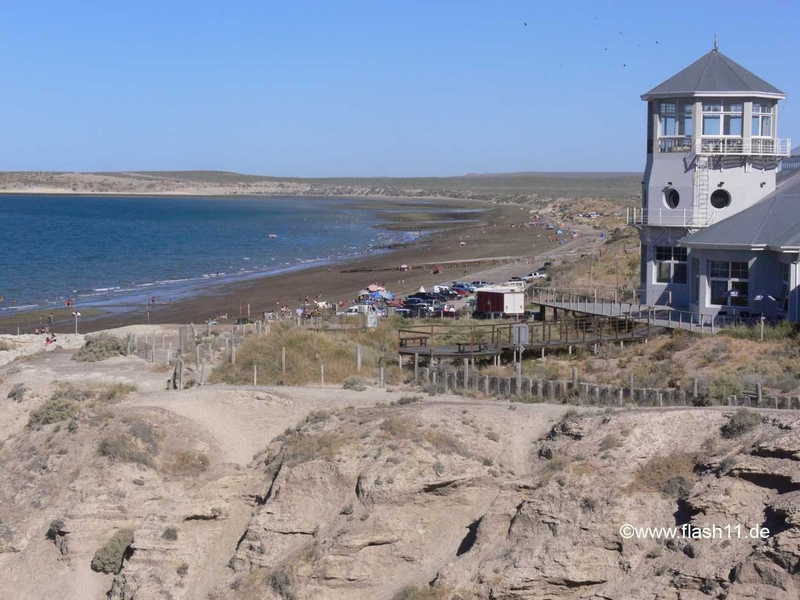 On Jan 19 I flew from Trelow to El Calafate.